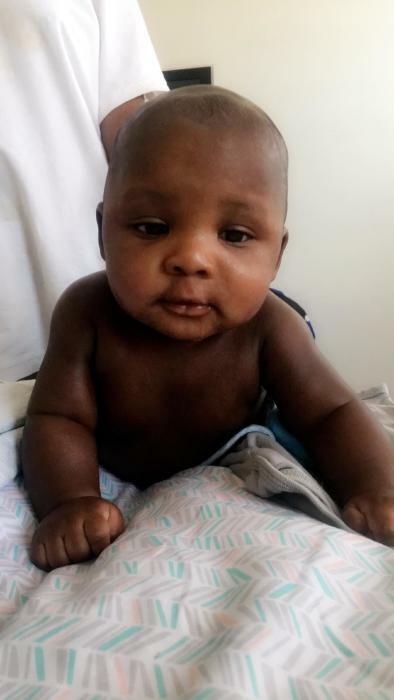 Ziahir Jamari Parker, son of Shana Lewis and James Parker was born November 9, 2018 in Baltimore, Md. He departed this life on March 27, 2019 after a sudden tragedy. His short time here on earth with us left a tremendous effect on those who knew him. Even those who didn’t know him. Just to hear the joy he brought to his family brought joy to others. Ziahir was born at University Hospital in downtown Baltimore. He loved spending time with family and friends, when we wanted his attention you could easily capture it with singing (good or bad) lol. In times of comfort he enjoyed cuddling with his blanket. He’s was such a happy and loving baby. He leaves to mourn: his mother Shana’, his father James; sisters, Zha’nae, Zaniya, Japrea, Jada and Janya; brothers, Zamari, Sames, Lil Champ and Lil James; grandmother Renee; great grandmothers, his God mother, Toni; and a host of aunts, uncles and cousins. He will join his grandma Nita and grandpop Eggy in his afterlife.